There are two major industries in Los Angeles, tech and entertainment. When it comes to bringing them together, LA has emerged as the clear leader. I thrived in the international community in Tokyo. Coming back to America, at first I missed being a leader of this and that, and being a regular at networking hives like the Economist group. Today I happily participate in the Los Angeles scene instead. So much has happened in the networking scene in one year. On-line, I got a head-start on Twitter and watched it go mainstream. Facebook now hums with adults. Spurred by the gradually deteriorating economy, LinkedIn has more, well, links. IRL (in real life) meet-ups and on-line relationships intertwine. One of the fascinating pieces of glue pulling them together is photography. Flickr’s storage platform and FacebooK’s photo tagging system makes timely sharing easy. Over this year Wm. 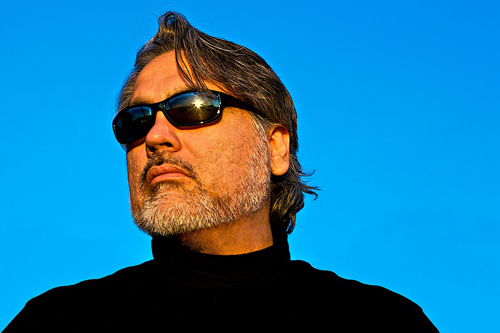 Marc Salsberry has emerged as The Man taking tech glitterati photos in Los Angeles. There are other shooters of course, including my fabulous husband Ray, who took this popular photo of Marc January 11th as we exited PhotoLA. 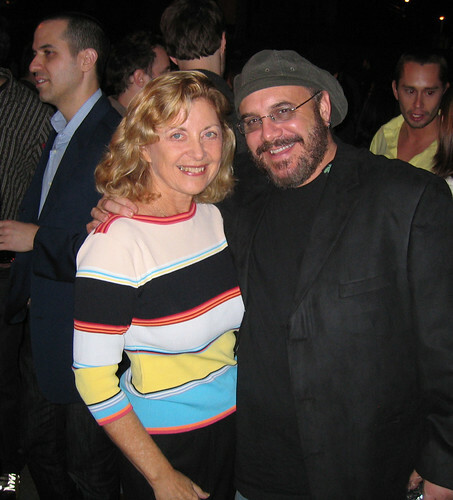 A year ago, Kevin Winston, then a My Space movie marketer, was just starting up Digital LA. Now attendees from Sony Pictures, Yahoo!, FOX Interactive Media, Google, Disney, WB, NBC, Vivendi Games, and other entertainment, studios, ad agencies, startups, and tech companies mingle at sold-out monthly gatherings. The January 28th happening at Coco DeVille was electric. 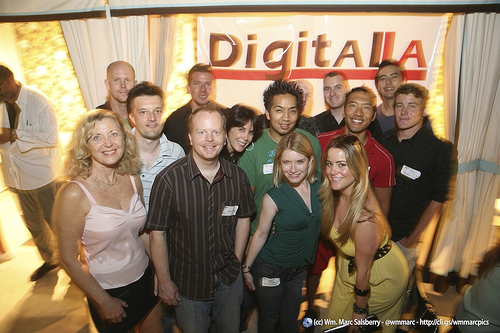 August 29, 2009 Digital LA at W Westwood, photo courtesy of Wm Marc Salsberry. Flickr set of photos by Ray Gordon from the Digital LA August 2009 event. Social Networking Conference will be in Los Angeles and is scheduled for (June 25-26). We’ve moved it from SF to LA because … LA is becoming the new ‘hot area’ for tech. 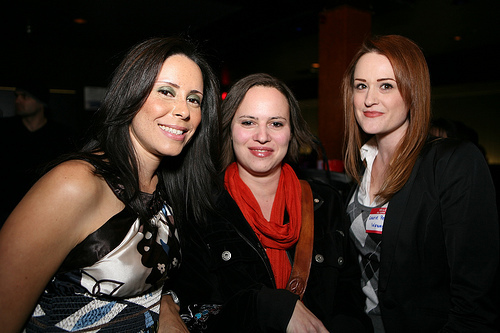 Hollywood Web TV Meet-Ups bring together the Digital Film set. Tubefilter’s Marc Russell Hustvedt hosts these events and recently created an award, the Streamys. I nominated The Last Single Girl webisodes series that The Courage Group produced with maniaTV Studios was immense. My marketing savvy NYC pal, Tim McHale recently concurred with me that LA is where digital film is happening. Efren Toscano and his handsome TechZulu crew are out and about live streaming the key LA tech meetups, including BarCampLA Oct 26 at SingularCity is a media sponsor. The women in tech and film in LA are not being left behind. LaLaWag got me on video at Girls in Tech, answering a question no one else had a real answer to, “Who are the female heroes of tech?” My answer: Esther Dyson! 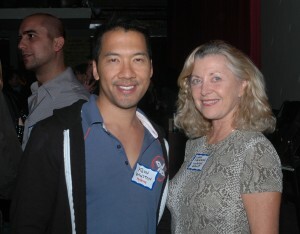 Jackie Peters, founding partner of Heavy Bag Media, hosts SMCLA events. January 11th, we enjoyed her Sunday brunch. 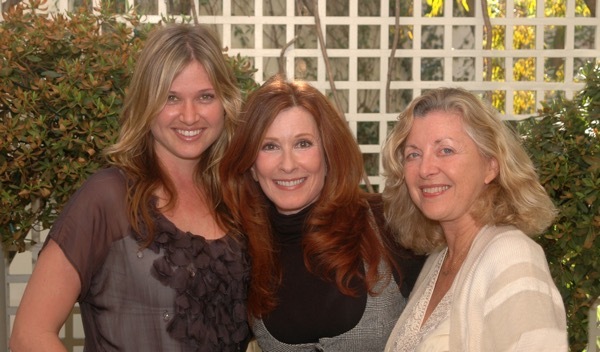 Here’s Anita Ondine who was on her “Social Media Club LA – Focus on Film” panel (photo by Ray Gordon). You never know when everyone’s favorite recruiter, Melissa Hooven, may show up so make sure to have enough business cards on hand. 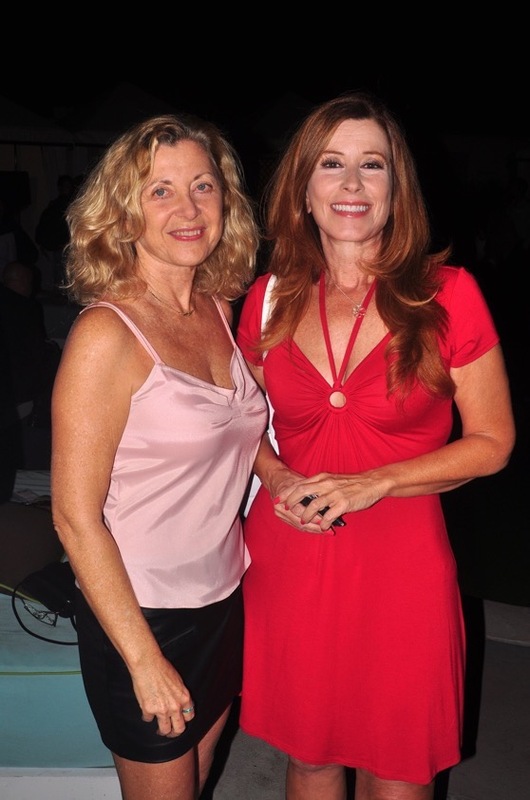 Famous author of the eBay for Dummies series, Marsha Collier, and I will be at Lotay Yang‘s Black Card Circle Foundation Black Tie at the Ritz Carlton Residences Feb 7. Love it!! We are already down one month into the New Year.. can you believe it! Yes, Linda does know everybody! and we’re lucky to have her in L.A. BTW, thanks for telling me I’ve not been blogging… been busy writing a new book… but promise to blog again very soon. Looking forward to the Black Card Circle Foundation Black Tie event tomorrow, can’t wait to see EVERYONE! Marsha Collierâ€™s last blog post..Thank you, Las Vegas eBay fans! Another great blog, Linda, and guide to who’s who in the LA tech scene! I have attended several of these events and they are not only a great way to network but I have met some really cool folks (yourself included) and my #1 Favorite photographer of all time Wms (aka Wm. Marc Salsberry) who never fails to make us all look great!!! See you all at the BCC Fundraiser tonight! you are obviously still in the thick of things and fast becoming part of the SoCal Tech Elite. Thank you very much for the kind words. P.S. And I thank Ray every time I see the pic he took of me. He is an amazing photog! Great post Linda! I agree with Jackie, 2009 will be an important year for tech. I am thrilled to be a part of it working with the Girls in Tech organization. I think what makes the tech scene in LA thrive is the fact that it’s surrounded by and collaborates with other important industries such as entertainment, media, fashion, etc. As we know, Twiistup is next week. Can’t wait, it’s going to be a fabulous event as always. Nice roundup of what’s happening in LA/SoCal right now. A lot of talent and energy coming together to shake up entertainment as we know it. Exciting times! And this month I’ll see you at Twiistup! It sounds like things are coming together in the LA tech community. If you ever go to Italy, you might be interested in connecting with Girl Geek Italia http://www.girlgeekdinnersitalia.com. I am now very eager to meet your fabulous husband photographer after such testimonials and from the work I’ve seen so far. I will be in San Diego in the Spring, but alas do not have plans to be in LA this year. Although I’ve learned that things change all the time. Wow lady – you are an incredible force! I have no idea how you find so much time to network – but I am in awe. I would LOVE to know more about some of these groups and attend some of these events. Good job! On the Tech – LA thing – it all began years and years ago, and it’s taken a while – but it is about time. What better place than where the entertainment industry is based for technology to flourish? Some of the greatest technologies are created just FOR the movies and television! Great summary, Linda. It’s awesome all of our groups are channeling our entertainment and tech energy in LA, and letting us make great connections! Alexia Tsotsisâ€™s last blog post..alexiatsotsis: going to Anisette in Santa Monica w Erin & @veektohr & fam. happy b-day nini! I used to live in Palo Alto/San Jose area before I moved to LA and was in the heart of technology. Though I find the tech scene in LA quite different than the Silicon Valley, I enjoy participating and seeing the varieties and various perspectives. Truly a pleasure to meet you at the BCCF event this past Saturday. And, excellent coverage here regarding the LA tech and entertainment scene – it is certainly a booming town, filled with all sorts of inspiring walks-of-life. Certainly looking forward to what else 2009 has in store for both industries. Thank you everyone so much for your comments! TwistUp 5 is now sold out. If you’ve missed out being among the lucky 1,000 of us at Santa Monica airport, there is an excellent alternative. Twestival! It’s for a great cause – clean water for all. What a great post! The tech scene in LA has definitely been growing steadily these past years. And it’s the dedication of people like you that have made these changes more recognized and accessible to everyone especially targeted groups like young girls and women. Thanks so much for the wonderful work you do. Right back at you Alexandra! Keep up the great work! Please check out our Singular coverage of TwiistUp http://singularcity.com/web-articles/48-web-articles/230-geekdom-is-cool. The Tech World certainly is growing and expanding Linda, and it’s exciting to see your participation and leadership in the Los Angeles tech scene. It looks like this was the ultimate networking event. Thanks for sharing such amazing photos. I was inspired to respond to your comment about the intersection of online and offline networking being important. I certainly agree. Los Angeles has another intriguing intersection which I sought to explain in this post and that is the intersection of tech and entertainment. Thank you very much for stopping by Terry!